Independent editor and content consultant. Founder and captain of @pixelpioneers. 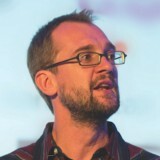 Co-founder and curator of www.GenerateConf.com. Former editor of @netmag.